As we approach National Home Security Month, which starts on 1st October, you might be interested in this infographic created by the team at Sainsbury’s Bank’s Money Matters. 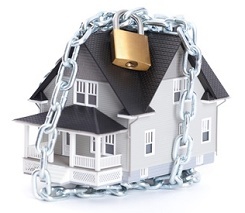 It offers a good overview of the various measures you can take to protect your home. We have lots of content coming up for National Home Security Month this year so keep checking back. We’re also raising money for Remedi UK who facilitate a range of restorative justice services. We’ll donate 40p for every key that we cut in October and we also have a donations jar in the shop for those who want to contribute also. You can see the full article on the Sainsbury’s Bank Money Matters blog here. next How did a burglary make YOU feel?